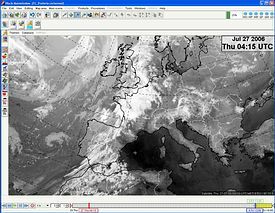 The Satellite Data Layer visualizes all available channels of geostationary satellites, such as GOES, GMS and Meteosat, and polar-orbiting satellits, such as the NOAA and MetOp satellites. NinJo produces a "world mosaic" satellite image from the geostationary satellites. Furthermore, you can create satellite composites using three different channels, , for example for a better visualization of high or low clouds. In order to allow easy access to such composites, you can adapt the myGUI panel of the Satellite Data Layer. The myGUI panel summarizes the most important configuration settings for each layer so that you can quickly change these settings without having to change the active layer. 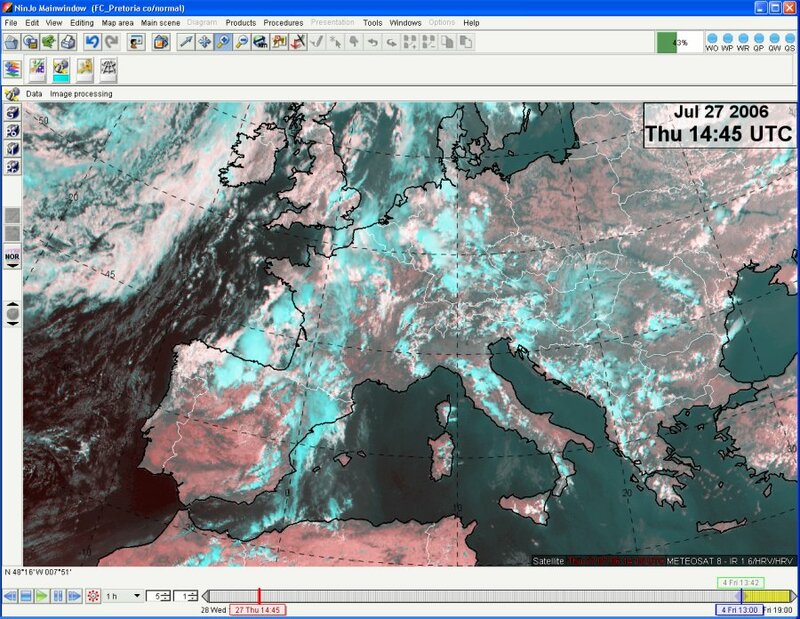 You can also display the products of the Satellite Nowcasting Facility (Nowcasting SAF). The Satellite Data Layer offers a flexible color configuration for all values as well as two different modes of contrast enhancement. The substraction of channels is also possible.